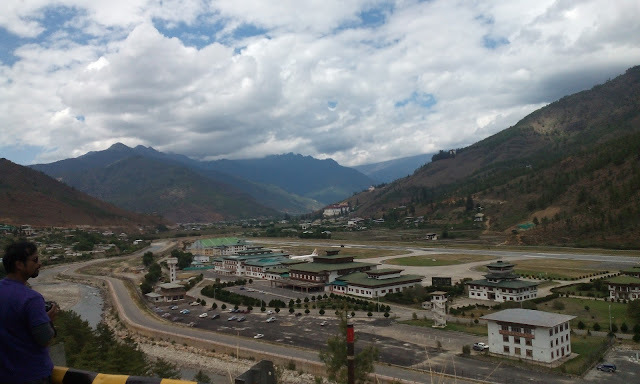 After completion of immigration formalities at the Paro Airport exit door, you will be met by your Bhutanese Guide and get transferred to Capital City of Bhutan, Thimphu. Enroute stop at Chuzom, confluence of Thimphu (Wang Chhu) and Paro (Pa Chhu) rivers. Here you will see three Stupas, built in Bhutanese, Tibetan and Nepalese style. On arrival in Thimphu, check in at the hotel. Evening free for leisure. After breakfast you would be taken for tour of Thimphu City. You would be visiting Kuensel Phodrang, the gigantic Buddha Dordenma Statue located atop a hill offering magnificent view of Thimphu Town; National Memorial Chorten, a Stupa built in 1974 to honor the third King, Jigme Dorji Wangchuck circumambulated by people offering prayers; Folk Heritage Museum, traditional house giving an insight to the Bhutanese lifestyle and artifacts from the rural households; Changangkha Lhakhang, one of the oldest temple in Thimphu and Motithang Takin Reserve, a wildlife reserve centre for Takin, the national animal of Bhutan. In the evening visit Tashichho Dzong, Fortress of the Glorious Religion. This impressive fortress houses some ministries, His Majesty’s secretariat, and the central monk body. After breakfast, We will drive to The Dochula Pass (3100 mts) is a mountain pass. From here on a clear sunny day, you will get to see magnificent view of the snow covered Himalayas within Bhutan. Other two interesting monuments of interest at this location is 108 memorial chortens or stupas known as "Druk Wangyal Chortens" have been built by Ashi Dorji Wangmo Wangchuk, the eldest Queen Mother. Later you would be driven back to Thimphu. Evening free for leisure. Overnight at the hotel in Thimphu. After breakfast, you would be driven to Paro. On the way, stop at Immigration Check Point in Hongtsho Village to return the permit which was stamped earlier. Enroute stop at Tamchog Lhakhang, situated between Thimphu and Paro built in the 13th century by Thangthong Gyalpo also known as the Iron bridge builder. Continue your drive to Paro. On arrival at Paro visit Ta Dzong, an ancient watch tower overlooking Rimpung Dzong built in 1951 now converted into national museum; Nemi Zam Bridge, also know as Nya Mey Zam Bridge is a traditional covered cantilever bridge connecting the Paro town to the Dzong and Kyichu Lakhang, one of the oldest and most sacred temples of Bhutan. Later check in at the hotel. Evening free for leisure. After breakfast, you would be taken for an excursion to Chele La Pass, the highest motorable pass in Bhutan and seperates Paro Valley and the Haa Valley. The ride passes through lush valleys, pine and rhododendron forest. On a clear day, the pass provides splendid view of mountains Jomolhari and Jichu Drake. Here you will see hundreds of colorful prayer flags fluttering in the winds. From here you can also see Paro Valley on side and Haa Valley on the other. 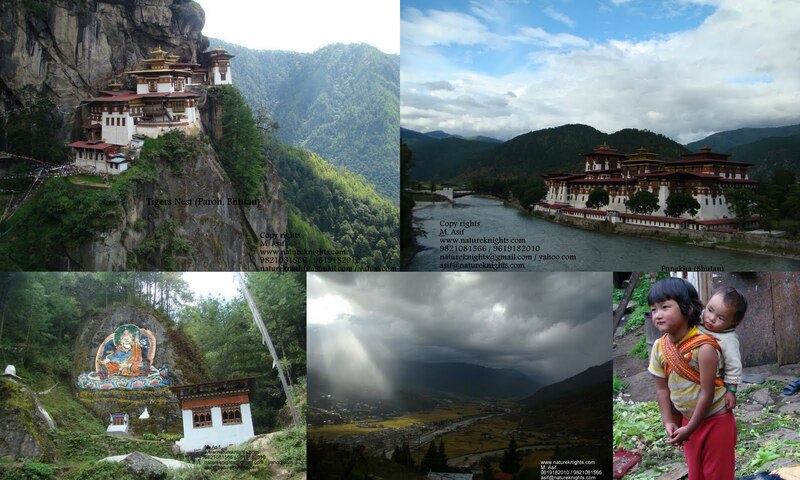 The pass is also rich in Bhutanese Flora and birdlife. 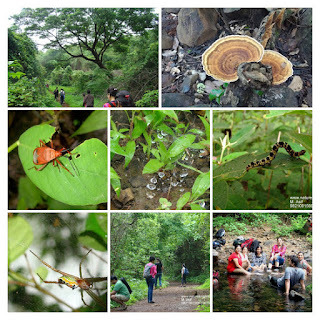 It also offers some beautiful short treks. Later return back to the hotel. Evening is free for leisure. Overnight stay at the hotel in Paro. After breakfast you would be dropped at the Paro Airport for your return journey. Tashi Delek! Budget may change as per seasonal demand. · GST 5 % extra (or any other rate as notified by the Government) on total bill amount. · Rates quoted above are on per person basis. Rates may vary with increase or decrease of persons. · The rates are valid for Indian nationals only holding valid Indian Passport or Voter I Card. · The above quote is valid for 7 days from the date of quotation. Kindly send your confirmation within the time limit or else the quoted rate will vary. · The above is just a quote on the basis of your requirement. We are not holding any rooms against this quotation. · Most of the rooms in all hotels at Bhutan are twin bedded rooms. Very limited rooms have king size bed. King size bedded rooms will be provided subject to availability only. If the same is unavailable the hotel shall provide twin bedded rooms only. 01 Hyundai H1 / Hiace (maximum capacity 4 + 2 Seats for Guide and Driver) as per itinerary basis. · Accommodation on twin/triple sharing basis as mentioned above. · All the rooms are base category, unless indicated separately. · Meal Plan (as per mentioned above) – Breakfast and Dinner. · Hotel taxes applicable (as per itinerary). · Guide charges for Bhutan portion only. · Air Fare/Train fare, insurance premium, any other activities like rafting, archery etc for which supplemental charges will be applicable to be paid by the guests directly. · Personal expenses such as laundry, telephone bills, bar bills, tips & gratuity, bottled water etc. · Entrance Fees for museums and monuments, Upgradation Charges and Optional Tours to be paid by the guests directly on the spot. · Any additional costs because of additional sightseeing; extra usage of vehicle; unforeseen events like landslides, blockades etc. ; imposition of new taxes; increase in taxes or fuel price which impacts costs of surface transportation will be recovered directly from the guests. The above is the standard policy as followed by 3 star and below hotels. You are requested to produce documents in support of the child age to the hotels as and when asked by them. Indian nationals do not require any visa for Nepal or Bhutan. A permit will be issued at the entry point on production of a passport (with a minimum validity of 6 months from the date of departure) or Original Voter ID. These are only valid document for issuing of Entry permit. The traveler should also carry photocopy of the travel documents and 04 passport size photographs. For Children, original Birth certificate in English and student ID which clearly reflect’s the traveler’s picture, school or college name, date of birth as well as the class in which the student is studying is required. ADHAR CARD/ PAN CARD / DRIVING LICENSE IS NOT A VALID DOCUMENT TO TRAVEL TO NEPAL or BHUTAN. Special Permit is required to visit places beyond Thimphu and Paro (for example Punakha / Wangdue) from the Department of Immigrations, Thimphu. No charges will be applicable for this permit. Please bring photocopy of Voter ID card or Passport of each person including child (Birth Certificate and School I Card). This special permit is given only after guest has entered Bhutan. Permits are not issued on Saturday, Sunday & Bhutan Government holidays. Only for guests travelling with valid passport can we apply for permits online in advance when they are travelling to these places on Saturday, Sunday & Bhutan Govt. holidays. For this we would need clear scanned copy of passport along with e-tickets. No photographs taken from mobile shall be accepted. Hence please be careful when the guests travelling with Voter I Card (or for child birth certificate) are planning to arrive in Bhutan on days when the next few days till their travel to such places are days when immigration office is closed i.e. they are either Saturday, Sunday or Government Holidays. 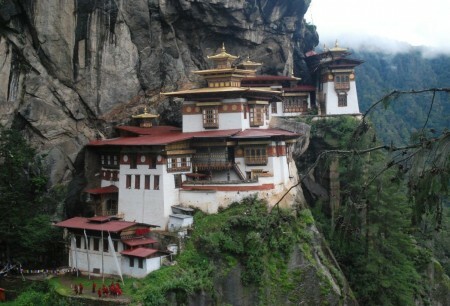 For example if the guests travelling with document other than valid passport arrive in Bhutan on Friday and are travelling to such places on Sunday, then they would have to alter their plans of arriving in Bhutan as their Special Permits would not be able to be processed next couple of days including the day on which they are planning to travel to such places immigration office is closed. Also if they are travelling on Monday to such places, than there would be a delay in transfers as first we would have to make the permits for such places, than only guests may leave. A private traditional Cultural Show for 1 Hour. A traditional hot stone bath in a village house. Archery experience and National Dress experience. Cancellation Request has to be sent to us by Email. Such cancellation charges shall also be applicable on reduction of rooms after initial confirmation. Cancellation charges shall also be applicable if the guests fail to show up for any flight or train cancellations. a) No refunds on the advance/ prepayment made for holding the booking. b) In case of confirmed bookings full payment has to be made 65 days prior otherwise the booking against advance / prepayment will be auto cancelled. c) 100% cancellation will be charged for all bookings falling under 65 days from the date of arrival. d) No refunds will be extended for early departures or any king of amendments.  The standards of hotels in Bhutan should be not be compared to standards of similar category of hotels in other developed destinations. The hotels have been selected, combined & graded in such a manner so that the Guests gets similar kind of experience at every place.  Further due to less number of hotels in 4 star and 5 star category at Bhutan we have provided combination of hotels at times we have clubbed lower category of hotels with higher category of hotels.  Please note that most of the hotels except selected 5 star hotels in Bhutan do not have air-conditioned facility in the rooms. On request they can provide table fans based on their availability.  Please further note that again most of the hotels do not have lift. In case you have any health related issues due to which you cannot climb higher floors, please inform us immediately at the time of confirmations so that we can take necessary actions.  Most of the rooms in all hotels at Bhutan are twin bedded rooms. Very limited rooms have king size bed. King size bedded rooms will be provided subject to availability only. If the same is unavailable the hotel shall provide twin bedded rooms only.  Categories of Rooms in the packages are based on base category of rooms, unless specified.  Hotels in other cities do not match the standards of hotels in Thimphu, Paro and Punakha as the places are remote areas. Please do not expect luxury facilities while travelling to these areas. If the guests are unable to compromise on comfort than such places of travel should not be a part of the itinerary.  Normal check-in time at Hotel is 1400 Hrs & Check-out time is 1100 Hrs. All requests for early check in / late checkout / extending of stay, will be solely at the discretion of the hotels and shall be subjected to the rooms availability. A valid photo ID proof for all guests staying at the hotel is mandatory.  Most of the hotels in Bhutan serve both vegetarian and non-vegetarian foods. The quality of the foods will not match the quality of the foods as available in India. No regional specific foods will be available.  For Extra Person Sharing the Room & Child with Extra Bed, almost all the hotels provides MATTRESS and ROLL AWAY BEDS as a supplement to Extra Bed.  In case of group or incentive travels, all the rooms provided may not be of same size and category.  In the hills, scarcity of water & power-cut is a natural phenomenon. In case of power-cut, the hotels provides power backup to emergency & common areas. Under such situation, hot water will be provided to the guest in bucket. Request you to kindly bear with such situation. We strongly regret for such inconvenience.  We reserve the right to re-arrange itinerary to suit hotel availability without changing the total number of days in each destination and without compromising with any services.  In case of any operational or mechanical problems, we reserve the right to change the vehicle or the guide in between the tour.  In case any sightseeing is closed on any particular day, we shall make arrangements to provide alternate sightseeing on the same day.  It is requested that the guests are soft and gentle with the drivers. The driver are from remote places and some of them do not know how to speak as they are not educated in tourism etiquette.  Cancellation – Since the Vehicles are limited in number, cancellation rules will be applicable on the complete tour package including the transport cost.  We provide exclusive Indian Vehicle in India Part and Bhutan vehicle in Bhutan part for all our packages.  INR 1500 per day per Coaster Bus.